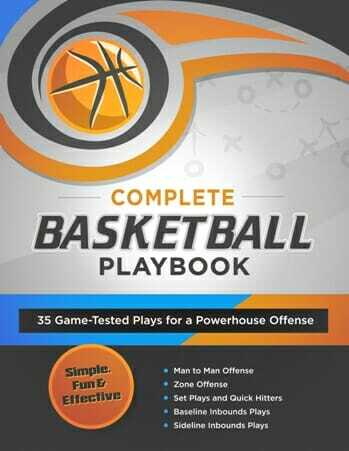 This is a great [tag]basketball[/tag] [tag]shooting[/tag], [tag]rebounding[/tag], and [tag]pressure drill[/tag] for your [tag]basketball players[/tag], that also allows them to have a little bit of fun. What you need – Divide the team into two groups and line them up single file at the foul line of opposite baskets. The first two players in the lines should have balls. How this drill works – This is a fast-paced drill for teams of any age level, as it helps them develop a number of valuable skills, while keeping it fun. 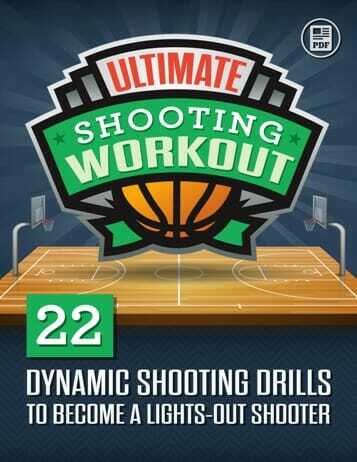 The drill starts with the first player taking a foul shot, and the second player shooting right after. If the first player misses, he or she must gather the rebound and make the basket BEFORE the second player makes their basket. Once the first player makes the basket, they pass the ball to the next player, who tries to make their basket before the second player. This continues on… if a shooter in behind a player makes his or her basket first, the player ahead is eliminated. This can make for fast-paced fun! 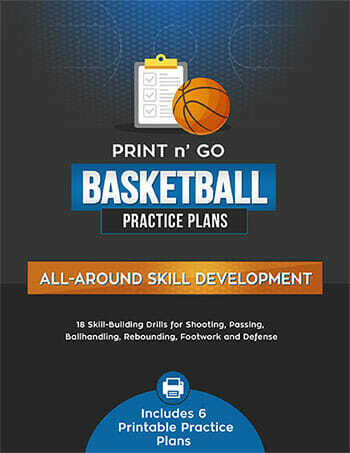 Result – Several skills are honed in this drill, especially making pressure shots.